The Jan. 23 Senate meeting began with an executive officer report presented by SGA President Tori Irvin regarding a survey sent out to the student body gauging the interest in extending the University’s Thanksgiving break in exchange for a shorter summer. The survey stated that students would need to give up five days of summer for an additional two days added to Thanksgiving break. Many students questioned why they would lose five days and only gain two; President Irvin explained that the five days would also include a fall break for UM. Due to the supportive feedback provided by the student body, Irvin intends to present the results of the survey to the Faculty Senate on Feb. 1. Next, the senators discussed a piece of legislation tabled the week prior, Bill: 1819-B-038. This bill would change the rules governing the future elections of Mr. and Ms. Montevallo. Currently, candidates for Mr. and Ms. Montevallo are not allowed to run campaigns, and any activity interpreted as such can result in candidates being struck from the ballot. 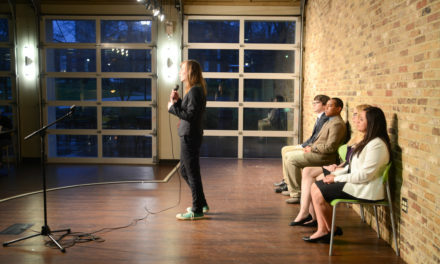 The newly proposed bill would allow the top six candidates for Mr. and Ms. Montevallo the opportunity to campaign; it was passed uncontested by the Senate. The Senate then moved on to new bills, beginning with Bill 1819-B-039, which requested $500 to help the Athletics Department purchase the 400 t-shirts ordered for Pack the SAC. Several SGA members criticized the Athletics Department both for the tardiness of the request and for their decision to buy the t-shirts before appropriating all the necessary funds. The bill passed with a contested vote of eight for the motion, four against and four abstained votes. Monday-Thursday: 6 a.m. – 10 p.m.
Sunday: 1 p.m. – 8 p.m. The agreement reached between the SAC and SGA would require the SGA to cover the cost of a student worker. The pilot program would run for three weeks and cost $648. The bill was tabled and will be brought up at the next SGA meeting on Wednesday, Jan. 30.